Holiday Recipe Idea – When it comes to food we have at our family get-togethers, there is ALWAYS some form of green bean casserole. And naturally, each and every woman who brings one swears HER green bean casserole is THE best ever. Is it that way in YOUR family, too? 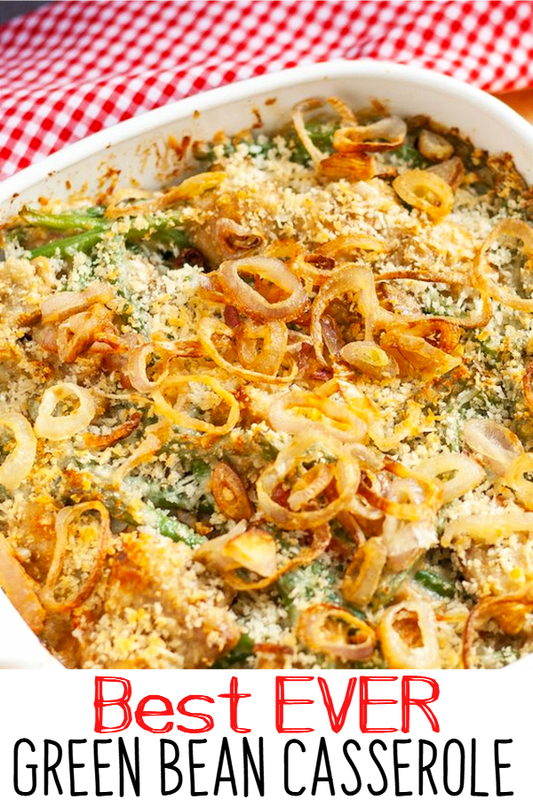 If you want to end the debate, next holiday get-together, YOU make this Green Bean casserole recipe and then YOURS will be the best – evah!